I’ve got a lot of different images of the Mardi Gras Rose because this particular rose was more fun to photograph than many of the others. It’s so big and fluffy, the petals are large, plus they were typically growing as a single rose rather than in clusters, like many of the others. 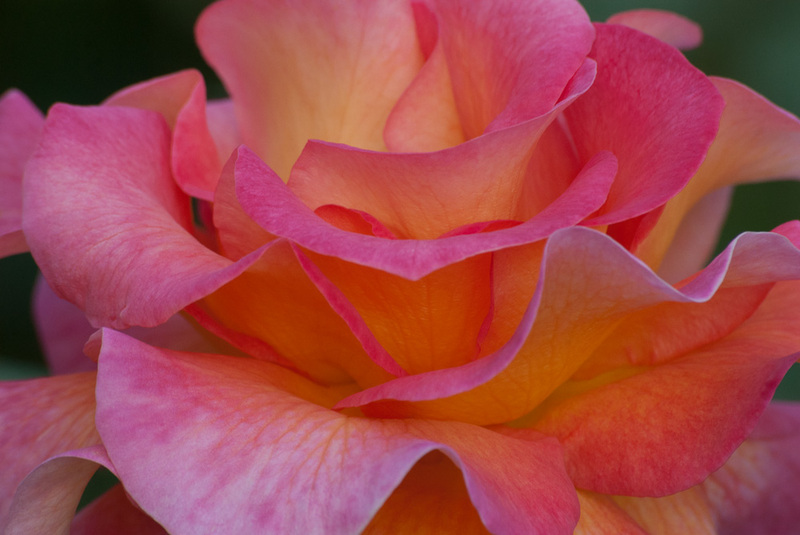 The Mardi Gras Rose is easy to photograph individually, which is what I’m looking for right now, plus it’s easy to zoom in close and get a good macro or abstract image of them. Their yellow and pink/red petals make for some cool abstract designs when zoomed in close. Today’s post present such a good example, plus you can see another good Mardi Gras Rose macro in my Really Rosy Abstract post from last month. Hope you like, be sure to share.